ALBUM FAMOUS CRYP AVAILABLE NOW!! 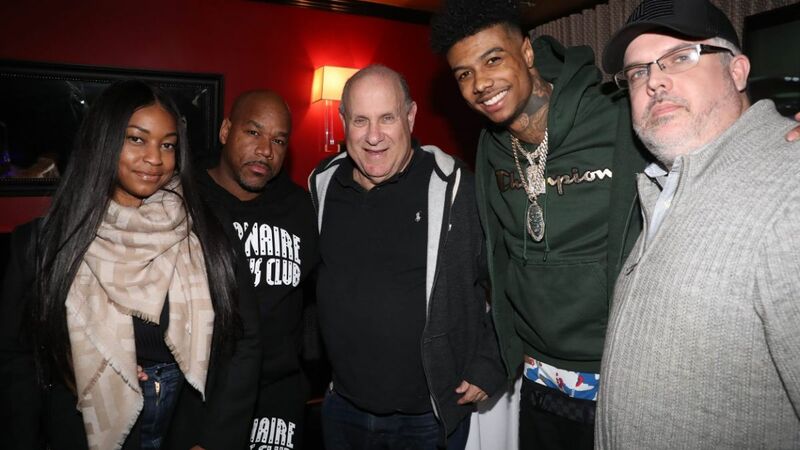 Photo Caption: (Left to Right): Kimberly Jones, 5th Amendment Entertainment; Wack “100” Jones, 5th Amendment Entertainment; Alan Grunblatt, eOne’s President, Urban Music; Blueface; Sean Stevenson, eOne’s Executive Vice President and General Manager, Music. Watch the video to "Thotiana - The Remix"
Entertainment One’s robust network includes international feature film distribution company Sierra/Affinity; Amblin Partners with DreamWorks Studios, Participant Media, and Reliance Entertainment; Makeready with Brad Weston; unscripted television production companies Whizz Kid Entertainment and Renegade 83; live entertainment leaders Round Room Entertainment; world-class music labels Dualtone Music Group and Last Gang; and award-winning emerging content and technology studio Secret Location.